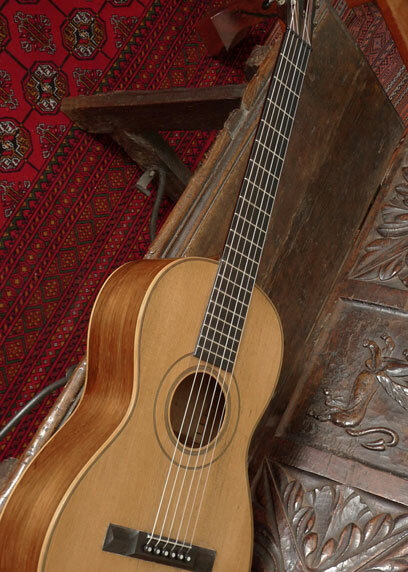 The original 70’s Mossman dreadnoughts are very well built, with attention to detail, and craftsmanship unsurpassed in this period. 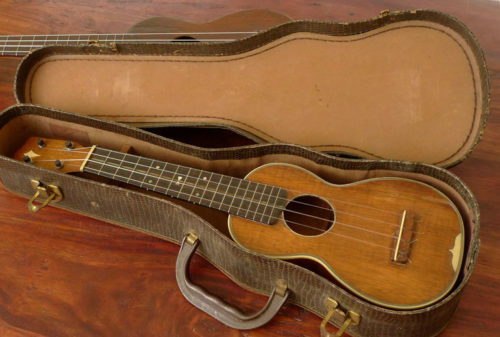 One of the hallmarks of the Mossman guitar is that each instruments has a paper label inside, with the serial number (that included the year date) and model. 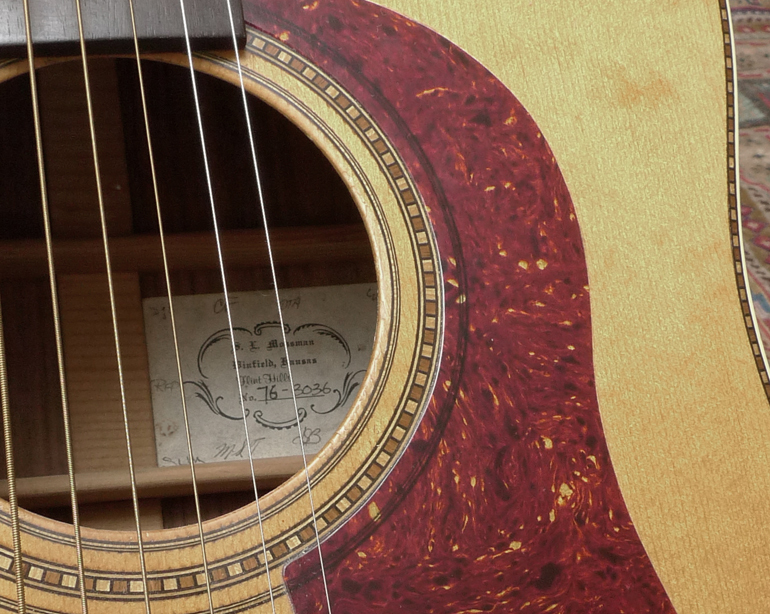 And the label was always signed or initialed by the craftsmen building that guitar (this one includes Stu Mossman’s initials: SLM). 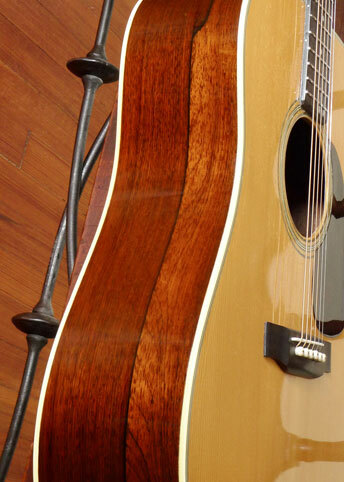 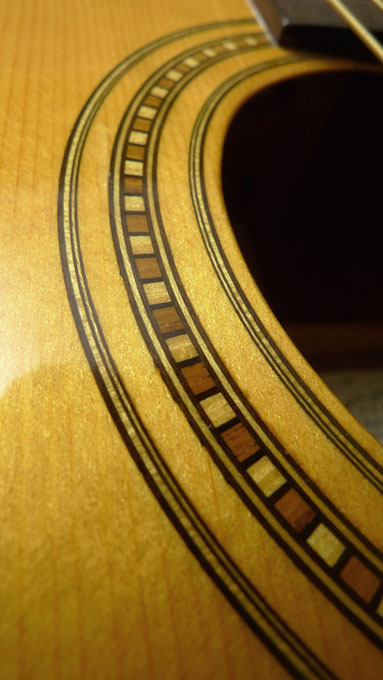 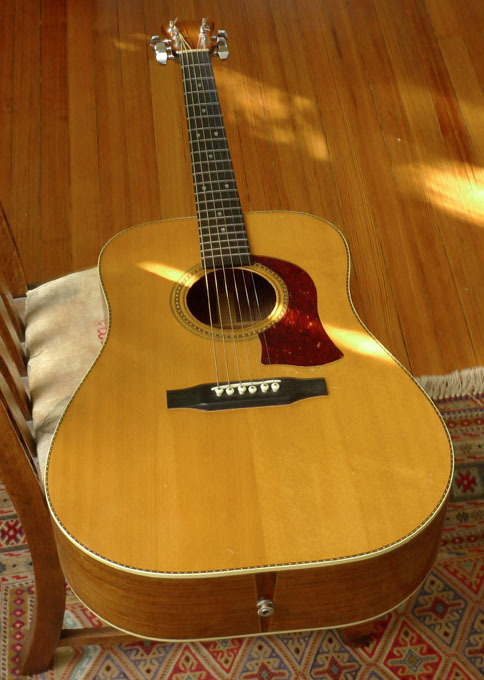 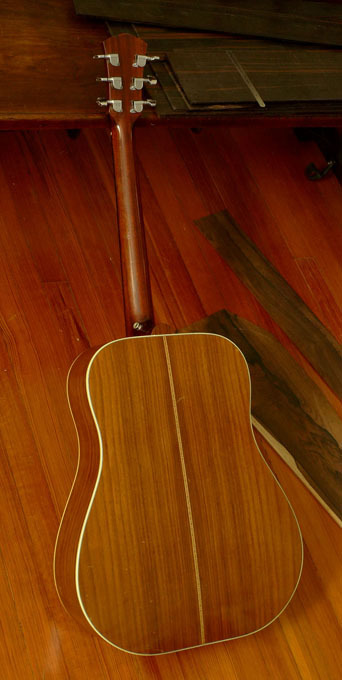 The Flint Hills model featured East Indian Rosewood back and sides, spruce top, ebony fretboard and bridge, and a unique inlay around the soundhole. 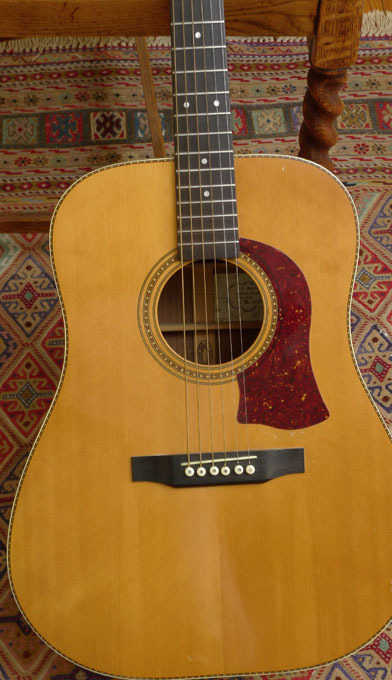 This example is all original, and is in fine condition, with no cracks. 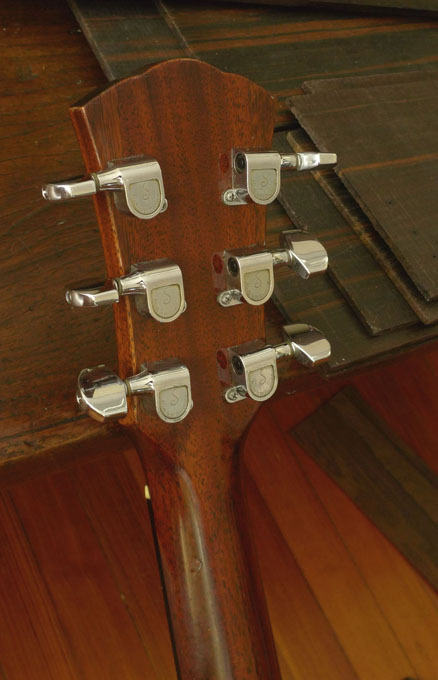 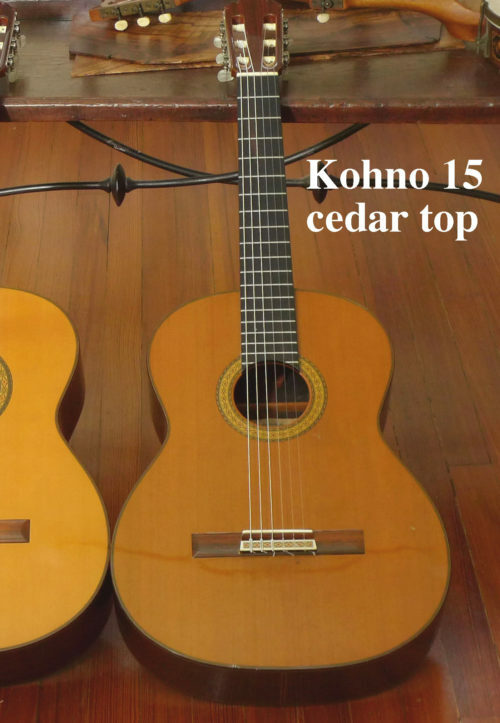 Original West German Schaler tuners. 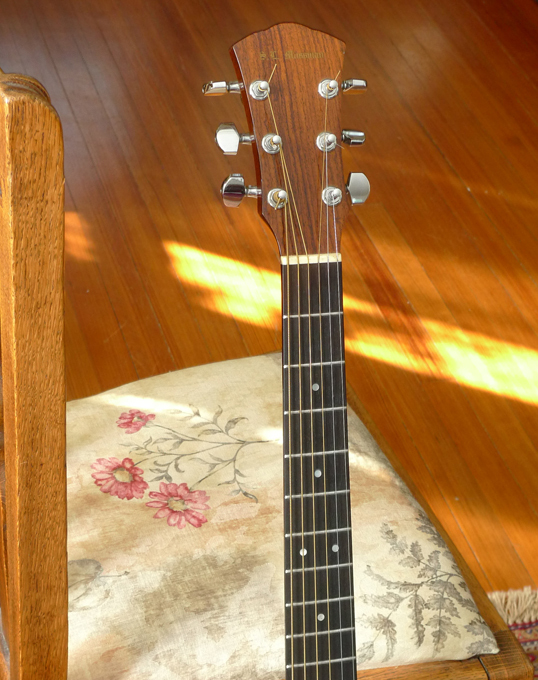 It has an under-saddle pickup installed, and an input jack in the end pin. 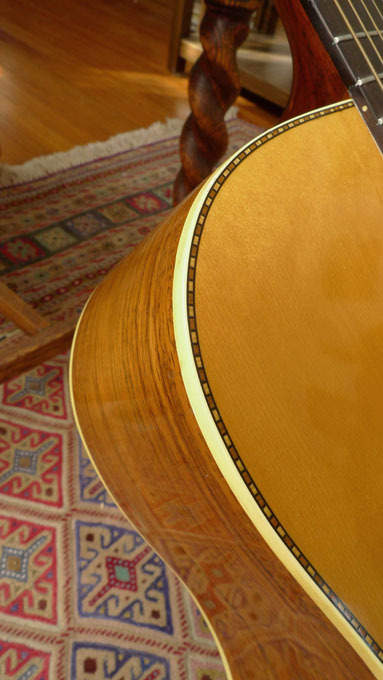 Tone is fine, and loud, reminiscent of a 60’s Martin– but with a little more punch in the mids and trebles– a perfect bluegrass instrument.